Most of Thulu and La Fi's clients are dead. Which is perfect since their detective agency caters to the supernatural. So, a job finding relics for an ancient daemon should be simple. Stunning humanity with their existence, portals to other worlds begin to open and the creatures of magic return to Earth. 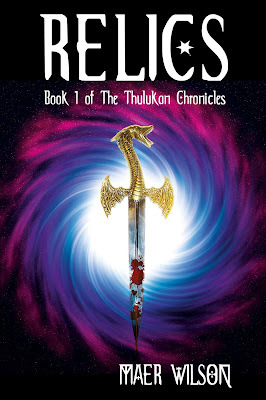 When Gabriel threatens their family, Thulu and La Fi's search becomes personal. The couple will need powerful allies in the race to find the relics before Gabriel does. But maybe that's what grateful dead, magical allies and daemonic clients are for. When the creatures of myth and magic return to Earth, they're nothing like your mother's fairy tales. I'm a Wuss! Should I Read Night Chill?